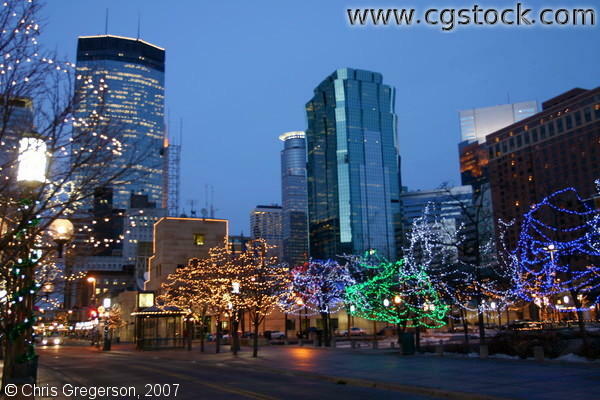 This is Nicollet Mall at Peavy Plaza at dusk, when Christmas Lights are up. The IDS tower is in the left background. There is a short video clip taken from this spot in the video section of this website.